Here’s a game I played against the computer that I thought was really interesting — not in a “fireworks” way but in a “strategical planning” way. It went down to a queen-and-pawn endgame, but what is interesting is that the endgame was present as a looming possibility throughout the middlegame, and affected all the middlegame decisions. It’s almost an example of causality working backward in time! Position after 24. … Bc4. White to move. I’m playing White and Shredder, set to a rating of 2288, is playing Black. Earlier in the game I had an advantage but I botched it through some planless play, and now there’s no question that I am in trouble. Of course, the first point is that my rook is under attack. Exchange sacs are really out of the question in this position, so I have four moves: 25. Rfe1, 25. Rfd1, 25. Rfc1, and 25. Rfb1. Which should I play and why? I took a time-out here to study the position at length, and I still got it wrong. That is, sort of wrong, or wrong in an interesting way. My first inclination was to play (a) 25. Rfb1, just defending the knight, but after 25. … Rd3 26. Qf4 a6 27. Nd4 Bd5 I really hated my position. Black’s pieces are just crawling all over the board and it seems likely that he will eventually win a pawn. 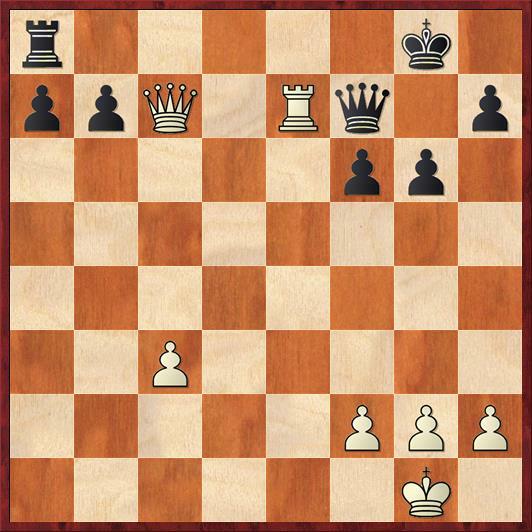 General word of advice: It is often better to lose a pawn sooner, when you can sacrifice it for active piece play, than to lose it later, after you have played several defensive/retreating moves and you no longer have a chance for active piece play. So then I considered the possibility of (b) 25. Rfd1. There were a couple of things I liked about this move. First, I prevent Black’s rook invasion with … Rd3. Second, if Black decides to accept my pawn sacrifice, my queen will penetrate to c7 and then I really will have a little bit of counterplay. We’ll see how this played out in the game. I never seriously considered (c) 25. Rfc1, which seemed too passive, or (d) 25. Rfe1. I didn’t really understand what the point of 25. Rfe1 would be. It seemed to combine the worst features of variations (a) and (b): I allow his rook to come into d3 and I give away the pawn on b5. But in fact, Rybka says that (d) is best and it’s essentially equal. The point is that if we play as in the above line, 25. Rfe1 Rd3 26. Qf4 a6 27. Nd4 Bd5 (all of which Rybka considers best moves), then White has 28. Ne6! and gets the counterplay he wants. If 28. … Bxe6 29. Rxe6 Qxc3 30. Qxf6 is dead equal. An interesting contrast of two styles of analysis — the human method, based on abstract general considerations and the computer method, based on a precise calculation of tactical variations. I have no doubt that Rybka’s way is more convincing, but my way has some value too, as we’re going to see. So I did play variation (b), 25. Rfd1, and Shredder took the bait: 25. … Bxb5 26. ab Rxd1+ 27. Rxd1 Qxb5 28. Qc7. Now it played 28. … Qb3, and I faced a decision. Should I head for the Queen and pawn endgame with 29. Rd8+, or should I keep my rook on the board with 29. Re1? I again made my decision more on general principle than on concrete calculation. I was far from certain at this point that the pawn-down Queen and pawn endgame was drawn. If I’m not careful, it could turn into a two-pawns-down Q+P endgame, or a pawn-down K+P endgame, and either way it will be lost. By comparison, I liked 29. Re1 because my rook is at present more active than his. Even though I am “in debt” for a tempo (I have to create luft for my king with g3 or h3), Black’s problem is that he has no open files to put his rook on, so my rook will remain the better piece. I thought that my drawing chances were therefore clearly better with the rooks still on the board. Shredder, on the other hand, analyzed the position very concretely and came up with a move that shocked me: 29. … Qf7!? “Wait, what?” I thought. Doesn’t 30. Re7 just win?” Well, no, and the reason why is a neat, seldom-seen tactical motif. Position after 30. Re7. Black to move. What is Black’s saving (perhaps even winning) move? The answer is 30. … Re8!! Or would be met that way, were it not for the fact that 31. Rxe8 is check. If Black’s king had only been better defended — if, for example, he had a knight on f8 — then the above position would have been a true cross pin. But because 31. Rxe8 is check, I manage to escape unscathed. Black has to play 31. … Qxe8. So all that really came out of Black’s “brilliancy” was that the computer managed to force the exchange of rooks, and get into the queen and pawn endgame that it thought was winning. But is it winning, really? That is the $64,000 question that this whole game revolves around. I’d be interested in my readers’ opinions. Certainly the computer fails to demonstrate a win in this game, and I don’t see any clear improvement for it. The one defect in Black’s position, which seems like a tiny little thing, is that pawn on f6. If the pawn were on f7 instead, I think that Black would likely be winning. But with the pawn on f6, White has more directions from which he can check Black’s king, plus the pawn itself is a weakness. These factors turn out to complicate Black’s task considerably. The game continued 32. g3 Qe1+ 33. Kg2 Qe4+ 34. Kg1 a6 35. h4! This is a very key move. 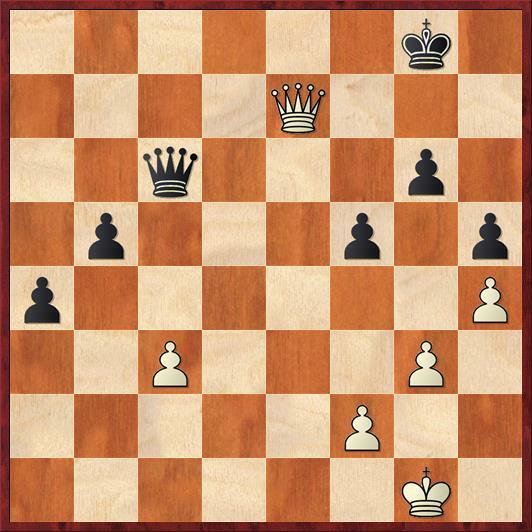 First, it gives White a little bit more room to maneuver with his king. Second, it creates some ideas of playing h5 at some point and loosening up Black’s kingside. Third, even if it stays at h4, it plays the very important role of shutting off an escape route for Black’s king — especially after Black plays 35. … h5. Play continued 36. Kh2 Qc6. After the game I thought this was a key turning point. As we’ll see, Black’s move allows my queen to come to e7, an immensely powerful square from which it controls the queenside pawns while at the same time giving Black’s king a case of claustrophobia. I thought after the game that perhaps the way for Black to win was to play first 36. … Kf8, taking e7 away, and then 37. … Qc6. In general, I thought that Black would have better winning chances if he moves his king toward the queenside rather than remaining on the kingside, where he is in constant danger of falling into perpetual check. When I checked 36. … Kf8 on Rybka, it said that White can equalize with 37. Qh7 a5 38. Qc7! (A striking idea. White has lured Black into loosening his queenside prematurely.) a4 39. Qd8+ Qe8 40. Qxf6+ Kg8 41. Qd6 Qc6 42. Qe7, with a position similar to the game only even better for White because he has won the f-pawn. Still, it’s hard for me to thoroughly trust computer analysis in the endgame, because as we’re going to see, Rybka (like Shredder) is totally fooled later on. The next few moves went 37. Qe7 b6 38. Kg1 a5 39. Kh2 f5 (as we’ll see, the point of this move is to enable Black’s queen to come back to the defense of the king) 40. Kg1 a4 41. Kh2 b5 42. Kg1(diagram). Position after 42. Kg1. Black to move. This position is really the tabiyah of the endgame. Both sides have achieved their easily achievable goals, and now it gets hard. If you believe, as I do, that the position is drawn, then it is incumbent on Black to look for improvements earlier in the game. It was amusing to watch Rybka’s evaluation of the position get worse and worse for White; it wanted me to play more actively with c3-c4 at some point. But I did not want to do that, because I was quite confident that Shredder could not take on c3 and win. 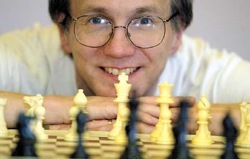 But if he can’t win that way, how can he ever break White’s dark-square blockade on the queenside? Shredder decided that it was time to take on c3. The square f7 is the new e7! It’s the square on which White’s queen hems in Black’s king while keeping Black’s a-pawn blockaded. With the trade of the c3 pawn for the b5 pawn, Black has “bought” his a-pawn one more square (it’s on a3 now instead of a4), but that is not enough. Buying the a-pawn another square, but burying the queen. 47. Kg2 a2 48. Qb3 f4! Position after 48. … f4. White to move. Once again, the computer with its otherworldly tactical savvy comes up with a move that I had not expected. This move takes away my check on e3, and therefore Black is now threatening to play 49. … Qb1 and queen his pawn. White has one and only one way to draw. What is it? Hint (if one is needed): What square does White want to get his queen to in case of … Qb1? How can he also defend the threat of … Qb2 at the same time? The only move that fulfills both requirements, threatening Qf8 and keeping an eye on b2. It’s cool to see how White’s queen combines attack with defense on opposite sides of the board throughout this endgame. The move 49. Qc4?? would not work, for example, because of 49. … Qb2 50. Qxf4+ Kg7 51. Qc7+ (Notice how Black’s sacrifice has left White’s queen unable to reach either of the squares it needs to reach, f7 or a7.) 51. … Kh8! 52. Qd8+ Kh7 53. Qe7+ Qg7 and wins. Basically waving the white flag, as this takes away the whole point of playing … f4. I was expecting 49. … f3+ 50. Kh2!, but in spite of appearances Black has no way to make progress. He can threaten mate with 50. … Qf1 or he can threaten to promote with 50. … Qb1, but either move allows 51. Qf8+ with a perpetual. Another nice point is that if 50. … Qe5 51. Qxa2 Qe2 (seemingly a nasty shot) White has the one and only drawing resource 52. Qa7! It’s interesting that here Rybka insists that Black still has a 1.90-pawn advantage. Even after 26 ply of analysis (after which I mercifully stopped it) it sticks to the same conclusion. Even though I normally respect Rybka enormously, it’s wrong here. This is a position where you need abstract thought, not more ply, to come to the right conclusion. Black has no way to extricate his queen from a1 without either (a) giving up the long diagonal, which allows an immediate perpetual, or (b) abandoning the a-pawn, leading to a dead drawn position. We thrashed around for a few more moves, and Shredder tried charging its king up the center of the board, but on move 70 it finally agreed to a draw. I hope you enjoyed this latest installment of my epic man versus machine battles! I was wondering about 42 … f4 Is that an improvement for Black? If 43 gf4 Qc3 44. Qe8+ Kg7 45. Qb5 Qc1+ 46. Kg2 Qf4 and it looks like the h4 pawn is toast. 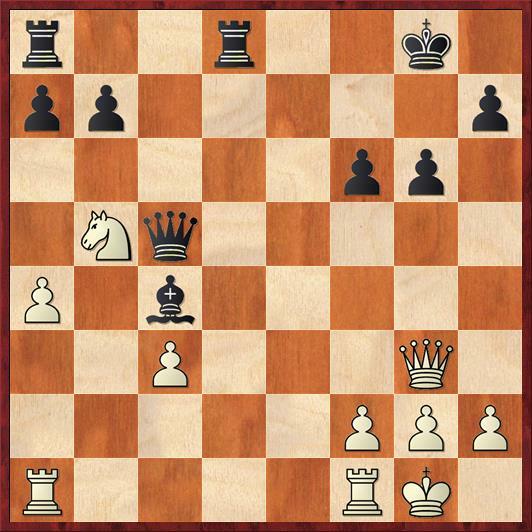 If White allow the pawn exchange on g3, the White king may be too exposed. 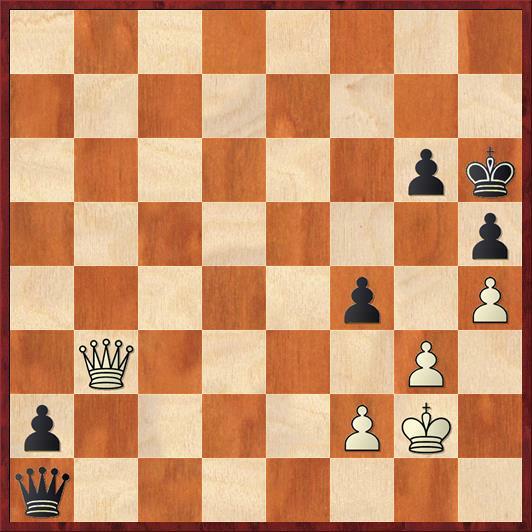 The Black queen may be able to check its way onto a better square (maybe b3) after taking on c3. The computer should be helpful in figuring this out. 42. … f4 is a good idea. Black claims that he is not out of useful moves yet, and in general I think that he should improve his position to the maximum extent before committing to taking the c3 pawn. The computer says that White is toast if he continues the “do-nothing” policy. If 43. Kh2 fg+ 44. fg Qxc3 45. Qe8+ Kh7 46. Qxb5 a3 47. Qd7+ Kh6 48. Qf7 (the same line as in the game, but with the pawn trade on g3 coming first) Black wins effortlessly after 48. … Qb2+. The horizontal check makes all the difference. So for better or for worse, White has to play (after 42. … f4) 43. gf. But after 43. … Qxc3 44. Qe8+ Kg7 Rybka finds an important improvement over your line: 45. f5! Holy mackerel! Two can play this game. Black cannot ignore this, as White has actual mating threats, so Rybka says that best is 45. … Qf6. Now after 46. Qxb5 Qxh4 47. fg Qe4! 48. Kh2 Kxg6 we get a position that the 7-man endgame tablebases can evaluate for us. I don’t have access to them, though… does anyone else? Rybka evaluates it at +0.79 for Black, which makes me think that most likely it is a draw. Anyway, this is interesting because it lets us understand the computer’s thinking about the timing of … f4. By saving it until move 48, it took away my reply 49. gf, which would have been met by 49. … Qb1 with an immediate win.